Abraham: And how do you do that? You’ve got to feel your way to it, don’t you? Because if you learned it from your mother, she wasn’t all that trustworthy. She sometimes was in a really bad mood when she told you what to do. And so you have to train yourself into trusting. It is about practicing the good-feeling thoughts until you are able to continually align with your Broader Self, or as you are saying, with the wisdom that created you. If you practice the vibrations of this high-flying disc so that you are doing it on purpose, when you begin slipping from it, you will recognize that you are slipping and then you can do something about it. In time, with practice, you can get control of your own vibration. And when you get control of your own vibration, the first thing that happens is your sense of self-worth comes into place—because the entire Universe is assisting you. You feel clarity, and everything works out. It’s like a concierge leading you everywhere that you want to go. There are no missteps. Things no longer feel difficult. In fact, things that at one time felt difficult often feel humorous to you. Esther knew that she was on the high-flying disc in a more consistent way when one day something had fallen behind a very heavy chest and she couldn’t get it out easily. She was laughing as she was trying to engineer how to get it out. Sixty days earlier, she would have been swearing about it. But now Esther is just enjoying figuring out how to fish it out rather than complaining that she has more important things to do than fishing objects out from behind furniture. Isn’t life really about these moments and these moments and these moments? People are waiting for their dream vacation or their dream relationship or their dream car or their dream job. And we say, Later is never going to come, because it is always now, now, now, now, now. Now alignment or not. Now alignment or not. Now alignment or not. And when you show yourself that you can have now alignment, now alignment, now alignment, now you’re living the way you intended to live. Wayne: Do you have to almost catch yourself when you’re having a thought that’s misaligned and correct it? I mean, it seems to me it’s stuck in here in our subconscious mind in some way. Abraham: It sort of is. Wayne: So you get ahold of this thought and you realize, I just had a judgmental thought, so I’m not going to do that again. But for me, I have to go back and correct the thought. And then I have to correct the behavior. Abraham: Yes, but you slow yourself down unnecessarily because that is going about it the hard way. While you slumber, your momentum stops. Then when you awaken, you are in a state of nonresistance and so it is easier to find the high-flying disc. And then the momentum will increase from that place of nonresistance. It is a much easier way of going about it. We are not saying that there may not be behavior that you may want to change. Of course there is. Often when you are offering effort about something, you are activating an opposing vibration to your desire. And while you don’t mean to be doing it, you are actually practicing the vibration of resistance, rather than the vibration of allowing. You can read the entire conversation between Dr. Wayne W. Dyer and the ascended masters Abraham as channeled by Esther Hicks in Co-Creating at Its Best: A Conversation Between Two Master Teachers. Available in Print, as a full-length DVD, and as an Audio CD at HayHouse.com. Wayne gave me so much insight into mysel and the spiritual world. Everything he has written is a must read. How exciting that he is the formless part of the universe that he strived to attain on earth. I would love to have his next book! 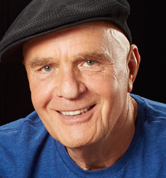 Dr. Wayne Dyer was a hero. Someone who dedicated their life to help others understand how to improve theirs by his selfless example…..Was shocked when I heard he had left us. Deeply missed !!! Let’s all polish our lenses and maintain that oneness with our true self, shall we? Love Love love from me to U. Say HI to Jesus for me. My whole life has been about Wisdom, Fr. Pat, our parish priest said to me yrs ago..Shirley when you ask for WISDOM..you had better be prepared for what is handed to you, so far so good. The Journey continues. A very colorful Canadian singer-songwriter named “Stompin’ Tom” wrote and sang a song called “The Attitude Song” ~~~ lots of references to getting “tuned in” ! I AM confused, I thought that to call yourself an Ascended Master you would have to have balanced all your karma and be one with the I AM that I AM. Abraham doesn’t talk about that. Really enjoyed this book. Resonated with most of it. Now, how to keep jealous people away. Why do light holders get extinguishers in the mix? And the La Jolla part made me home sick. Love it…I am pracitising this to create my movie…ALL inspired from Divine. Boy does this make sense today! Last month I had bought my car plate tags online. It said wait 2-3 weeks for delivery, which came and went and no tags. So I’m getting antsy because its February and I’m worrying I’m going to get a ticket for expired plates. So yesterday I sent an email, and today I called and found out it had been hung up in the mail because of my address change. I thought my address change had already been taken care of. So got mad about the inefficiency of this system! Today I’m fretting and mad and having a meltdown because I need to be working on homework and many other things and not spending more time on something I thought was done. So I run to the DMV, wait in line, get my tags, run some errands and go home. I run inside to get paper towels to clean my plates and add the tag sticker. I can’t because the mail truck is parked so close to the back of my car that I have to wait for him to move. So I wait. He moves. He’s delivering the mail to our apartments while I’m adding the sticker to my car. I get all done, let out a big sigh of relief and go check my mail. There are the original tags I was waiting for in my mailbox!!! I can only laugh with the Universe at this point. What is a High Flying Disc? None of this seems to work when your energy is constantly being drained by another?difficult road and journey making me reflect on my whole life which has been so difficult but my main thing has been to be there for others in their time of need! The above is a part of the discussion between Mr wayne dyer & the enlightened Abraham. I just want to understand when I am offering something (effort in this case), am I not actually in a state of effortless because my inward desire at that moment of time was “offering effort” and even when effort is resistance (metaphor) it still was something that I desired that moment of time & so truly speaking it has be effortless. How could it be the “opposing my vibration of desire” because as I said “I desired to offer effort” and so at that moment of time my vibration has to be one of effortless & not of resistance. Any comments appreciated. thank you! a great reminder – life really is about living in the now. it’s super important to get clear about being present in our lives & let go of the baggage holding us down. when we do our world really shifts. i’m finally back on track and feeling so much better. I found Abraham by accident & it’s wonderful all the way. in love with all of the work she has allowed us You Tube addicts to be part of…Love you to the moon Abraham…thank you for allowing me in the vortex of BLISS, Wayne Dwyer you are awesome as well,i have tons of your books as well and will be the next number one best selling author 2015, so i will be meeting you bot very soon……..
Oh my…How profound ! Thank you thank you ! Thank you!! How them to stay in the allowance vibration and be completely in the NOW alignment. How can I stay in that vibration? Do they explain the step to follow. How can I learn? “We are not saying that there may not be behavior that you may want to change. Of course there is. Often when you are offering effort about something, you are activating an opposing vibration to your desire. And while you don’t mean to be doing it, you are actually practicing the vibration of resistance, rather than the vibration of allowing.” AH HAH moment!!! Excellent insight. A must read. much gratitude for all of you for sharing your Treasures with us.